After another year of fantastic Christmas parties in Birmingham, we are back and ready to go even bigger and better this December. Now in its 9th year, winners of the UK’s Best Christmas Party Package, Moonlight & Mistletoe - returns to Birmingham, but in a new state of the art venue for A Night in Paris! New to Moonlight & Mistletoe, the Library of Birmingham will be our venue of choice for the greatest Christmas parties in the city. Chosen for their high-quality standards and spectacular interior, it is the perfect venue to host our Moonlight & Mistletoe parties. Hosting up to 500 guests for Shared (or Mixed) parties, our venue is also available for hire on an exclusive basis! Just get in touch with the Moonlight & Mistletoe team for more details, or visit our Exclusive Hire page. It will be an evening where the beautiful venue, delicious cuisine and flowing wine goes hand-in-hand with party classics and a night of fun with friends. Entertaining and exquisite - this is the way all Christmas parties should be! Tables on the First 2 Rows Behind Super VIP (Subject to Availability), Sparkling Drinks Reception, and VIP Drinks Waitress Service for the Duration of the Meal. Tickets for our Birmingham Christmas parties sell out fast, so book now for a Christmas party like no other! 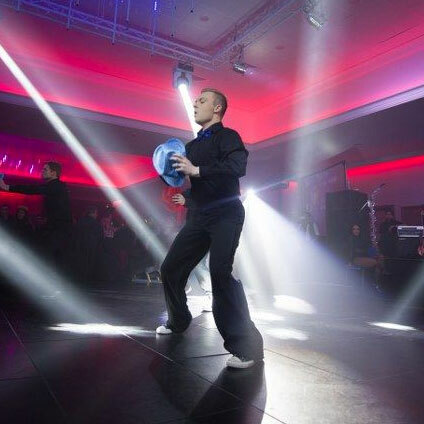 As winners of the ‘UK’s Best Christmas Party Package’, our varied entertainment line-up promises to deliver an unforgettable party atmosphere. With entertainment throughout the night, followed by a DJ and Disco, you’ll be celebrating Christmas in style this year! Entertainment is based on the Parisian theme, including stilt walkers, angle grinders and so much more! Our Christmas parties in Birmingham are packed with more entertainment than ever before, featuring our fun casino tables where you can try your luck on red or black. The dress code is smart/evening wear, so come in your most dazzling outfits and be ‘red carpet ready’ for an unforgettable office Christmas party experience. That means evening wear for women and shirt and trousers or suits for the men. Trainers, ripped jeans or caps aren’t permitted. Fantastic festive food helps create that special seasonal feeling. So for this year's Christmas party in Birmingham, we have devised a varied menu for you to choose from! We all know that a good meal goes a long way to ensuring a great Christmas party experience, and catering for a large number of people over the festive period is not an excuse for sub-standard food. Please select your dining options from the specially prepared menu, ensuring that you pay particular attention to ingredients, in case of allergies or dietary restrictions, by reviewing the key at the bottom of the page. Don’t forget to pre-order your drinks to avoid the initial rush to the bar! Check out our money saving deals on our drinks packages below. 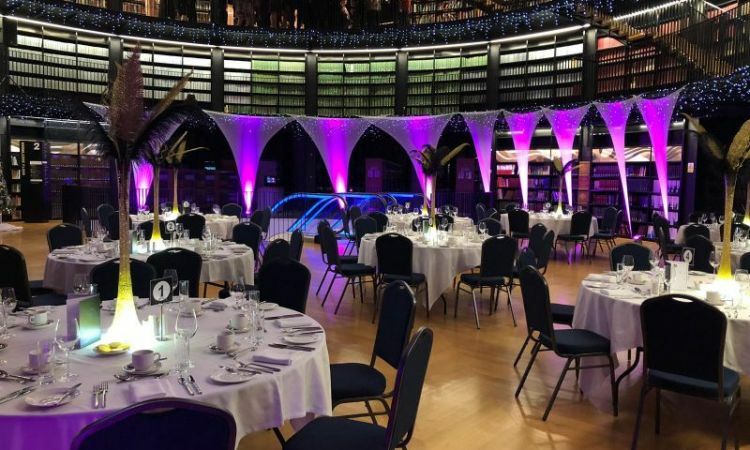 Selected especially for our Moonlight & Mistletoe Christmas parties, the Library of Birmingham is host to this year’s Christmas parties in Birmingham. 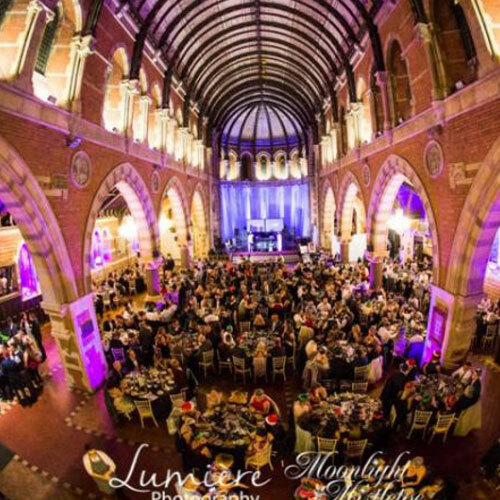 As one of our remarkable venues, it’s chosen especially for our Moonlight & Mistletoe Christmas parties. 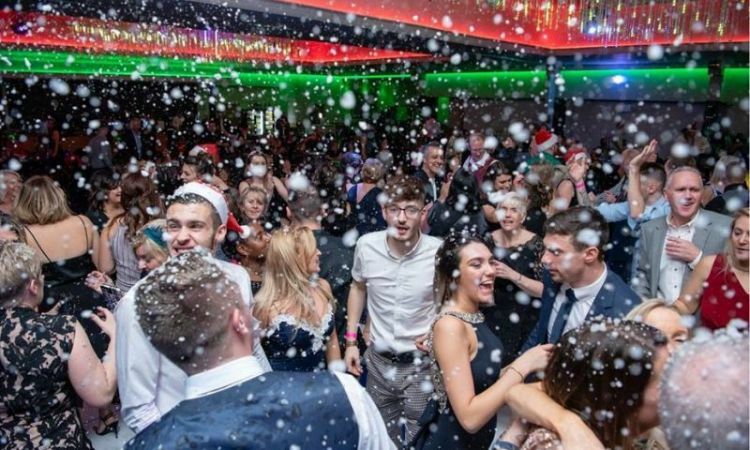 It’s the perfect place for a Christmas party in Birmingham in 2019. 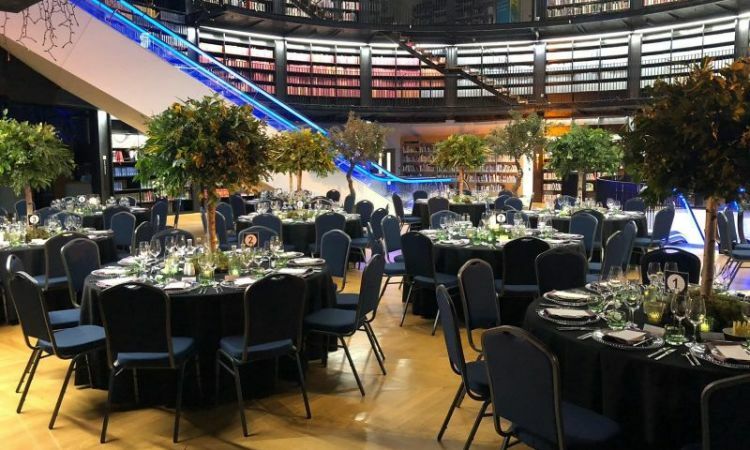 The Library of Birmingham is one of central Birmingham’s most spectacular dining and events venues, boasting everything that you can hope to expect - from luxurious décor and long bars for a speedy service! 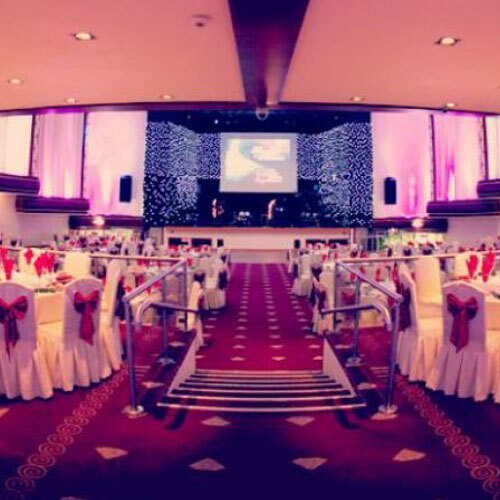 The industry leading team of venue managers, audio-visual engineers, production crew, choreographers and set-designers take care of the planning process from conceptualisation to fulfilment; ultimately creating the perfect atmosphere for our Birmingham Christmas parties! 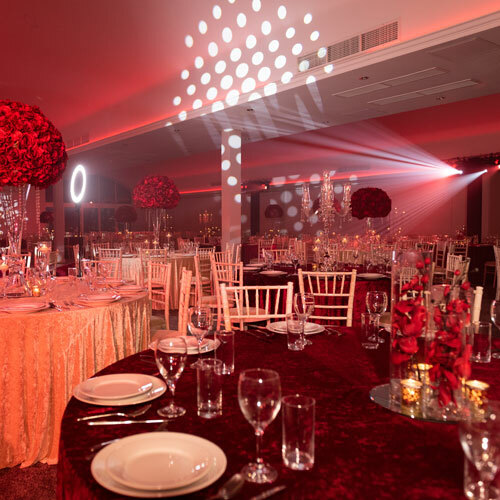 On an evening the venue can be transformed into an exquisite site to host wedding receptions, corporate events and, of course, Christmas parties that are exclusively managed by Meji Media Events. 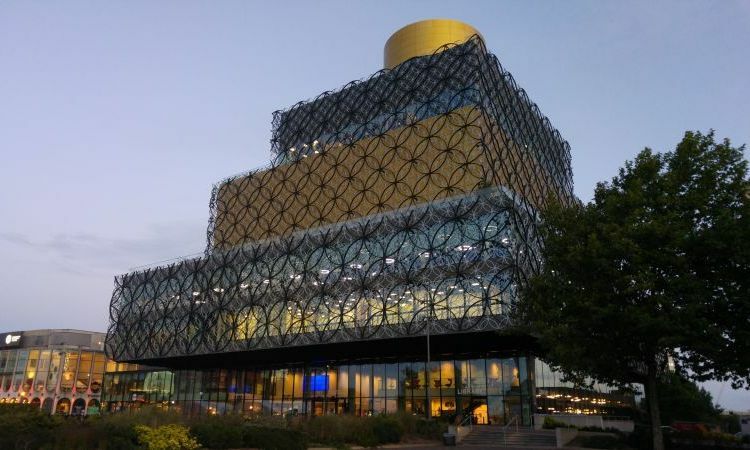 Venue Address: The Library of Birmingham, Centenary Square, Broad Street, Birmingham, B1 2EA. Nothing quite beats the magic of Christmas. 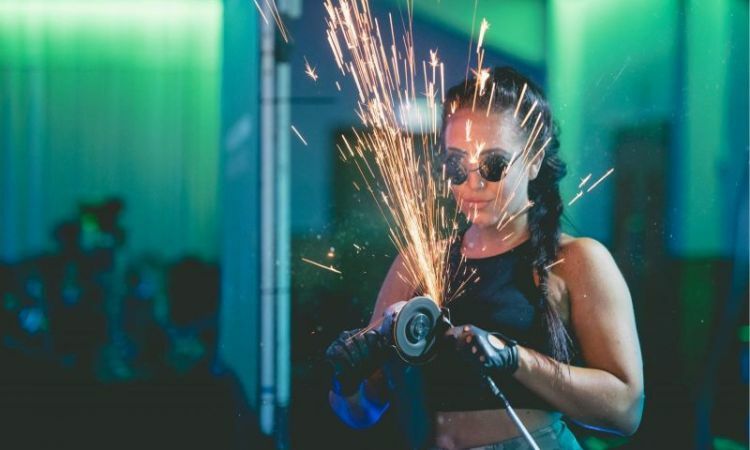 So let the festive season begin with our amazing Christmas party in Birmingham that you and your friends will be talking about well into 2020! Have any questions about our Birmingham Christmas parties? We’d love to hear from you! Drop us a quick message and we will respond to you promptly. The venue is also available for hire for an exclusive Christmas party in Birmingham on other dates throughout the festive period. Get in touch and we’ll help you put together your very own bespoke Christmas party package. A minimum number of 400 will usually apply. Due to the lighting, and theming already installed, the venue can provide a cost-effective answer to a high-quality event for your company. We have been attending the Moonlight & Mistletoe Christmas parties for the last few years and can't get enough of them! 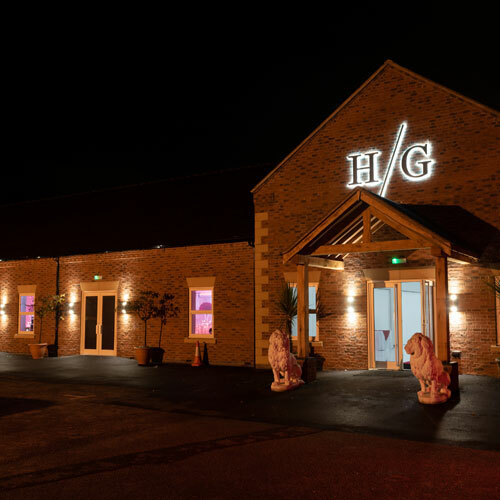 The staff can't do enough to make your night special, from the early stages of booking to the Christmas party itself- we really wouldn't use anyone else now!